The Frye Festival takes place every April in Moncton, New Brunswick, where Frye lived for the greater part of his youth, from 1919 to 1929, when he left to study at the University of Toronto. He was born in Sherbrooke, and Moncton, especially for his mother, was hard exile, as John Ayre’s biography makes clear. But Moncton is where he grew up and Moncton shaped him in crucial ways. In a talk he gave at the 2003 festival, titled “Moncton, Did You Know?” Bob Denham looked at Frye’s years in Moncton and asked the question, What happened to Frye in Moncton that set him, at age 17, firmly on the path that he was to follow. A copy of this talk can be found on the festival website, www.frye.ca, and in the book Verticals of Frye/Les Verticales de Frye, a collection of festival talks I edited in 2005. The first festival took place in April, 2000, with about 50 authors – poets, novelists, playwrights – in attendance. And we invited David Staines to talk about Northrop Frye. Thus began a splendid series of talks by scholars and others with intimate knowledge of Frye, including Branko Gorjup, Nella Cotrupi, Bob Denham (who has given 3 talks over the years), Naïm Kattan, John Ayre, Michael Dolzani, B.W. Powe, Alvin Lee, Jean O’Grady, Glenna Sloan, and Germaine Warkentin. As well, each year we’ve organized, as part of the same ‘Frye Symposium’, at least one roundtable in which these same speakers and others, including Glenn Gill, Jeffrey Donaldson, Joe Velaidum, Peter Singer, and Jean Wilson. In April, 2006 the festival inaugurated a second series of talks, which we call the Antonine Maillet-Northrop Frye Lecture, featuring a well-known writer/thinker with no necessary connection to Frye. Neil Bissoondath spoke in 2006, followed by David Adams Richards in 2007, Alberto Manguel in 2008, and Monique LaRue in 2009. Paul Curtis at the Université de Moncton, a member of the Frye Board of Directors, has been the driving force behind these talks. Goose Lane Editions of Fredericton has published each talk in a handsome, bilingual, paperback format. The Bush Garden, where so much of the damage was done, if I can put it that way, was first published in 1971, and I have in my possession, a precious fruit from my years as a bookseller, Timothy Findley’s signed copy of the first paperback edition. It’s interesting that the first words he underlines, on page 213, are these: “And Canada has produced no author who is a classic in the sense of possessing a vision greater in kind than that of his best readers (Canadians themselves might argue about one or two, but in the perspective of the world at large the statement is true).” I like to picture Timothy Findley at Stone Orchard reading these words and saying to himself, By God, just you wait. (In 1977 he published The Wars.) Of course, Frye did wait, for it all to happen, as he knew it would. Findley also underlines, and gives two long slashes in the margin, to this from page 222: “Again, Canadian culture, and literature in particular, has felt the force of what might be called Emerson’s law. Emerson remarks in his journals that in a provincial society it is extremely easy to reach the highest level of cultivation, extremely difficult to take one step beyond that. In surveying Canadian poetry and fiction, we feel constantly that all the energy has been absorbed in meeting a standard, a self-defeating enterprise because real standards can only be established, not met.” Whether he agreed or disagreed with Frye’s historical perspective, Findley was intent on lifting himself above and beyond the force of Emerson’s law. That he succeeded, as did so many others of his generation, is something we can all celebrate. This entry was posted in Frye Festival, News on January 9, 2010 by Guest Blogger. 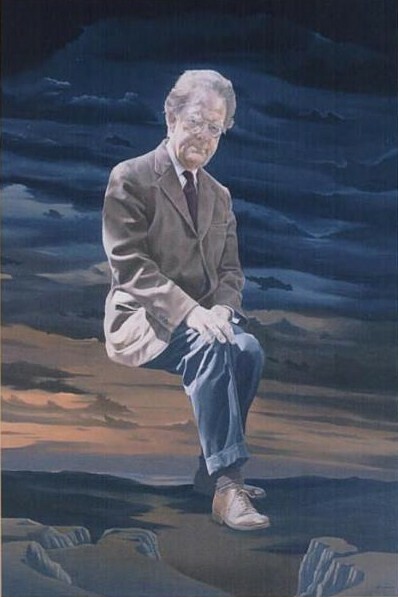 We’ve received so much positive email response to Eleanor Cook’s biography of Northrop Frye in the Canadian Dictionary of Biography that we’ve added it (both English and French versions) to our permanent Links section to the right. This entry was posted in Biography, News on January 9, 2010 by Michael Happy.